In search of magnetic signs for your employees or small business? 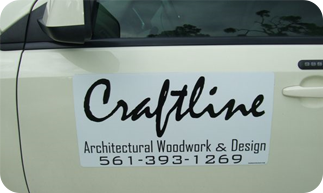 SignsSuperCheap offers custom magnetic signs for the those looking to get the word out. These magnets are removable, making it a good option for employees who may be using personal vehicles. Take a look and see how we can help you get the word out.